Incredibly beautiful home recently updated throughout. Luxury kitchen with granite counter tops, Frigidare stainless steel appliances, oak cabinets and hardwood flooring. Master suite features fresh paint and updated window treatments, his/hers walk-in closets and attached master bath with his/hers sinks. All four bedrooms on the second floor have been freshly painted and beautifully decorated. There are two full bathrooms on the second floor. The formal dining room has been updated with fresh paint, wall treatments and a new light fixture. The office is located on the first floor just off foyer and next to the half bathroom. The living room is large and has been updated with fresh paint and window treatments, the oak floors are beautifully polished. The four season room is located just off the kitchen, all of the windows allow you to enjoy your private back yard. The basement is a true man cave with a large great room, gas fireplace, wet bar and a full bathroom. A couple of add extras not found in the typical home include the workshop in the basement, the in-ground sprinkler system, invisible fencing and the back up generator hard wired into the electrical panel. 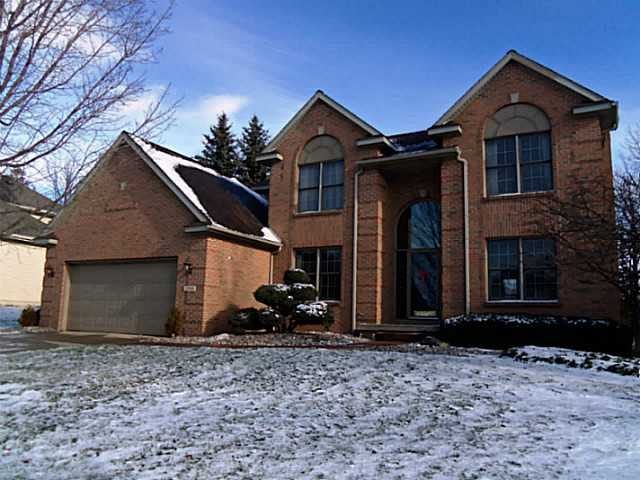 Posted on December 27, 2012, in Grand Ledge Listings, What's New?. Bookmark the permalink. Leave a comment.